To follow this tutorial, you'll need a New Relic account and a valid New Relic license key. You will also need Docker and .NET Core 2 configured and running in you development machine, a Docker Hub account, and an Azure subscription. Let's start by creating a new Web API. In this demo, I will name our API baseline-demo. This command will scaffold our API. Now let's look at how to add Docker and New Relic. First, download the New Relic .NET Core agent. In this demo, we'll use the Debian version. Copy the file newrelic-netcore20-agent*.deb to the folder baseline-demo/newrelic. Go to Swagger and make some GET requests. On your Docker Hub portal, create a new repository and give it the same name as your Docker image. 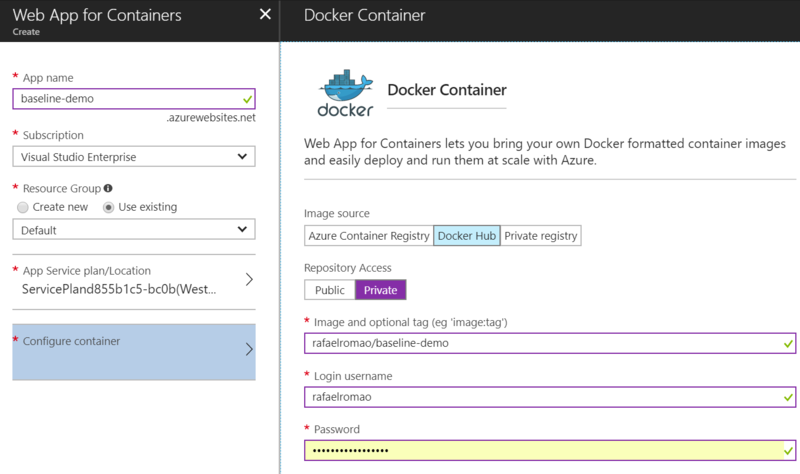 Now your image will be available for use in an Azure Web App for Containers. Finish the creation and access the /swagger endpoint in the URL provided for your app and make some test requests. 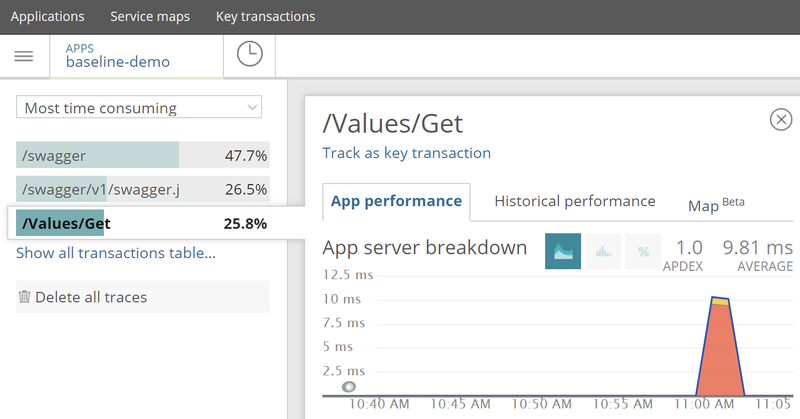 Now go to New Relic again to see the metrics collected from your API, which is now running on Azure. This short tutorial shows one of the many options available for configuring New Relic for a .NET Core 2 Web API. For more information, check out New Relic's documentation. Don't forget to comment below to tell us what you think about the amazing tools we used in this demo!